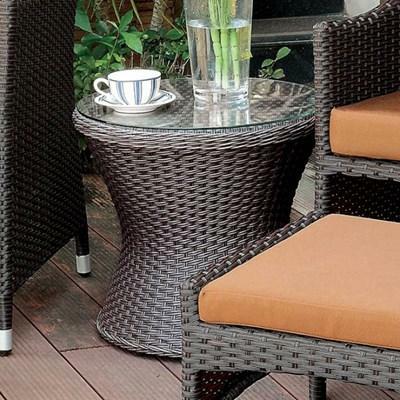 This Cocktail Table by Poundex features a PE resin frame construction and a brown finish. 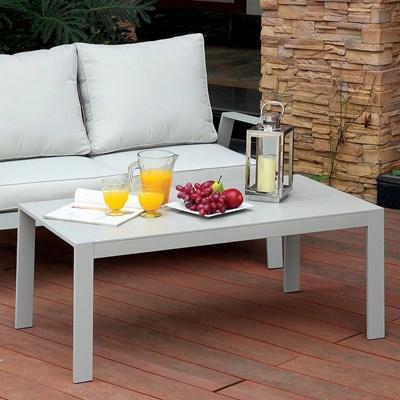 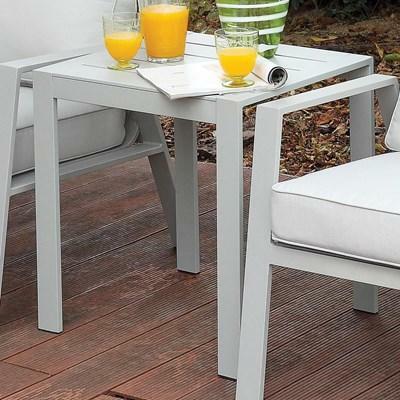 This Cocktail Table by Poundex features a PE resin frame construction and a light gray finish. 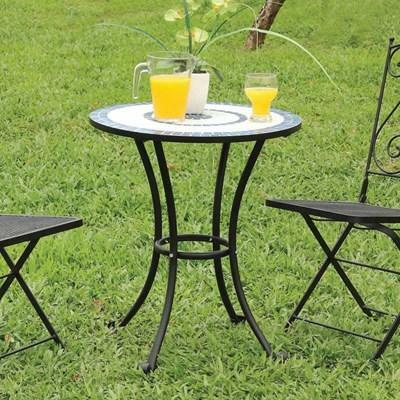 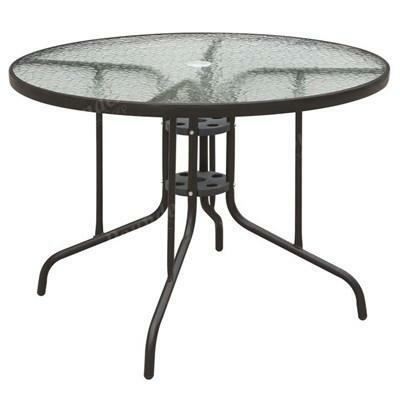 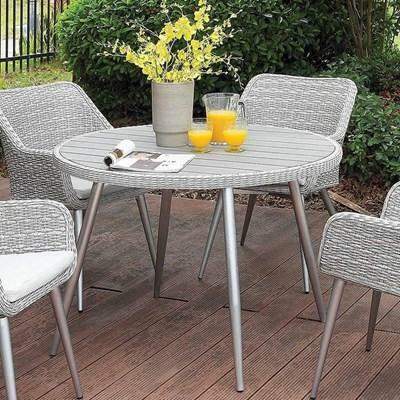 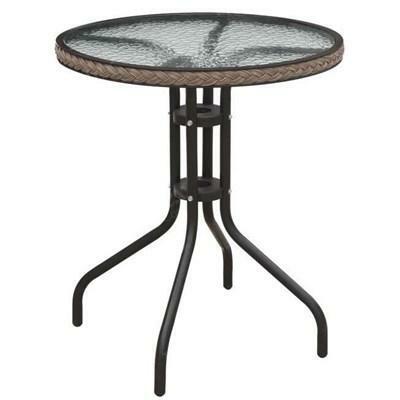 This Outdoor Dining Table features a round-shaped table top, a steel frame construction, and a black finish. 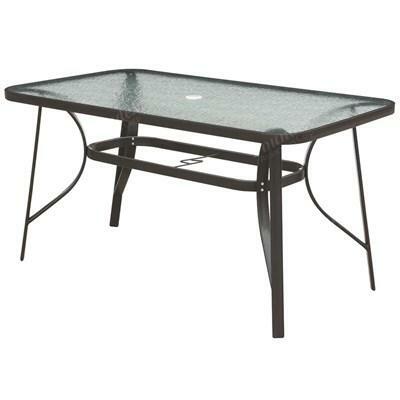 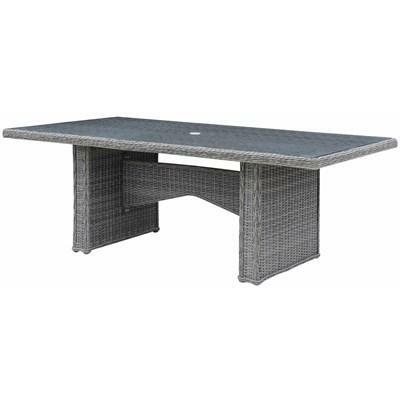 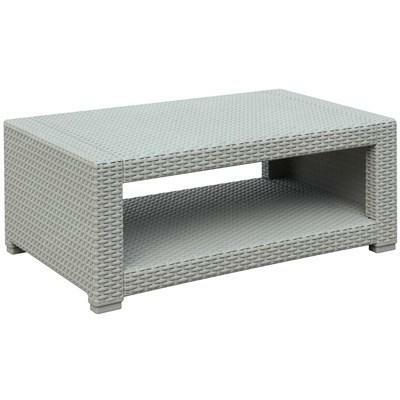 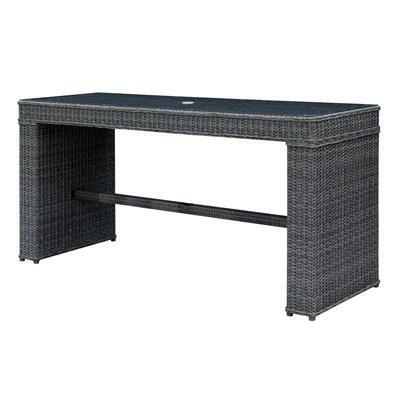 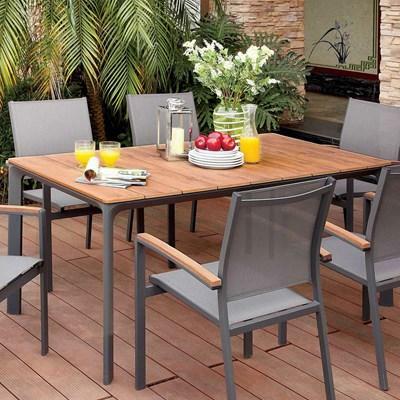 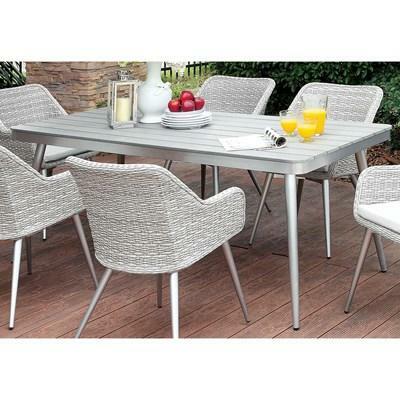 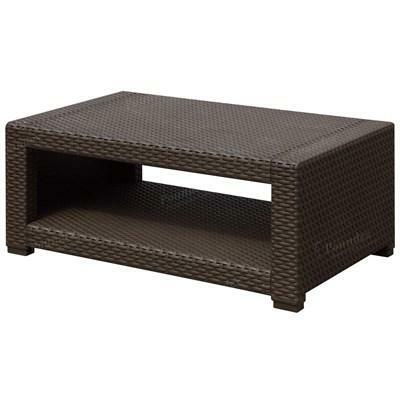 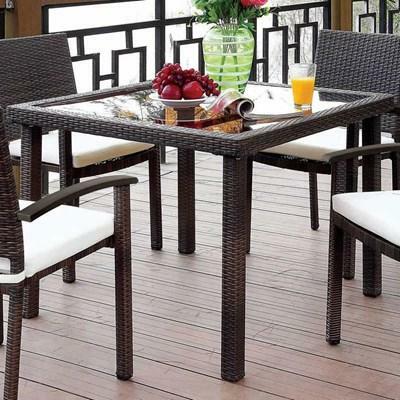 This Outdoor Dining Table features a rectangular-shaped table top, a steel frame construction, and a black finish.